[+] Clean up all the default posts, pages and comments. [+] Configure must have Wordpress generate settings. 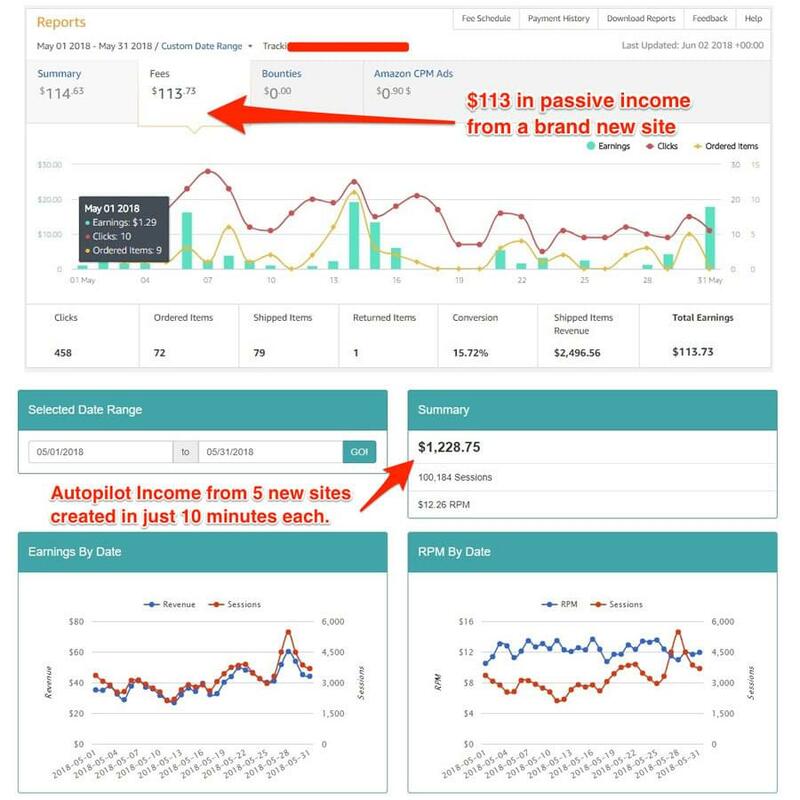 [+] Adding important pages such as affiliate, amazon and earnings disclaimers. [+] Adding pages like Anti Spam, DMCA & Copyright Notice. 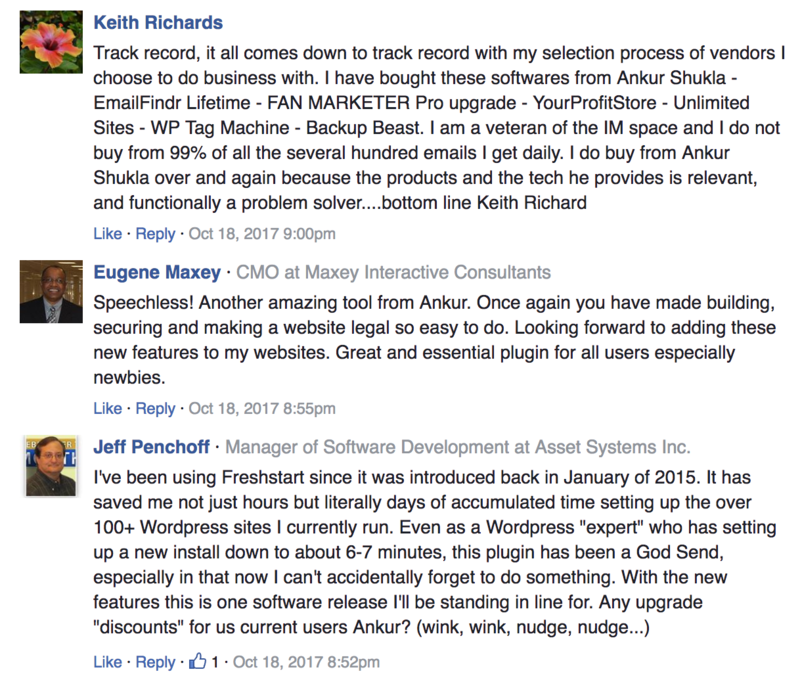 [+] Install multiple PLUGINS at once that every site needs. [+] Create unlimited blank pages, posts and categories. [+] PLUS ALL THE NEW 5.0 FEATURES listed above. Show related posts after each post automatically for better crosslinking & traffic. Rename and disable admin menus for users etc. Admin bar settings : Hide admin bar, Customize logo etc. 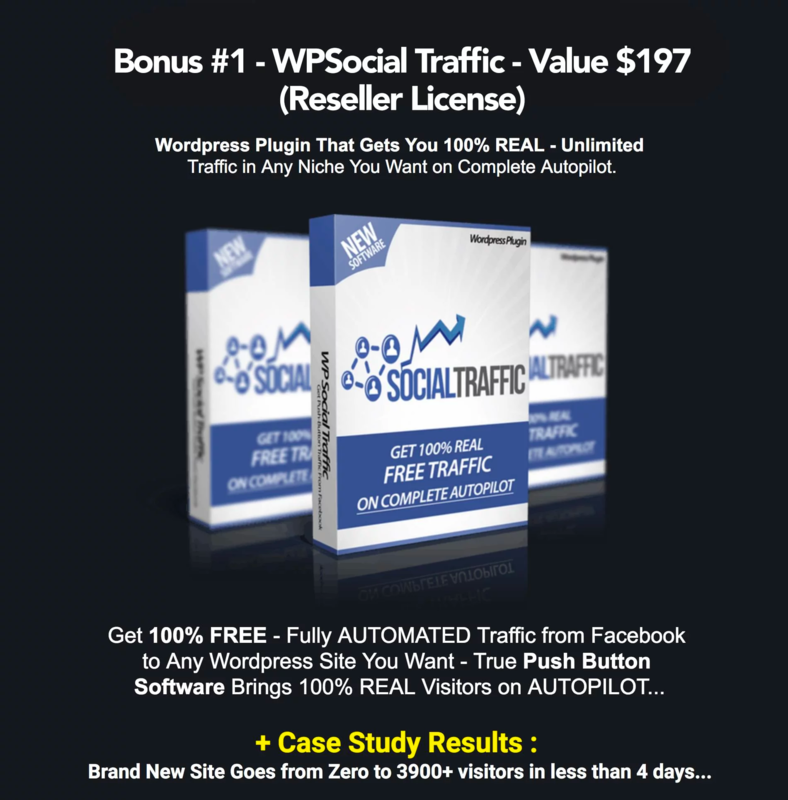 Automatically share posts to Facebook and Twitter for auto social media traffic. Add hover pin button for images for Pinterest traffic. 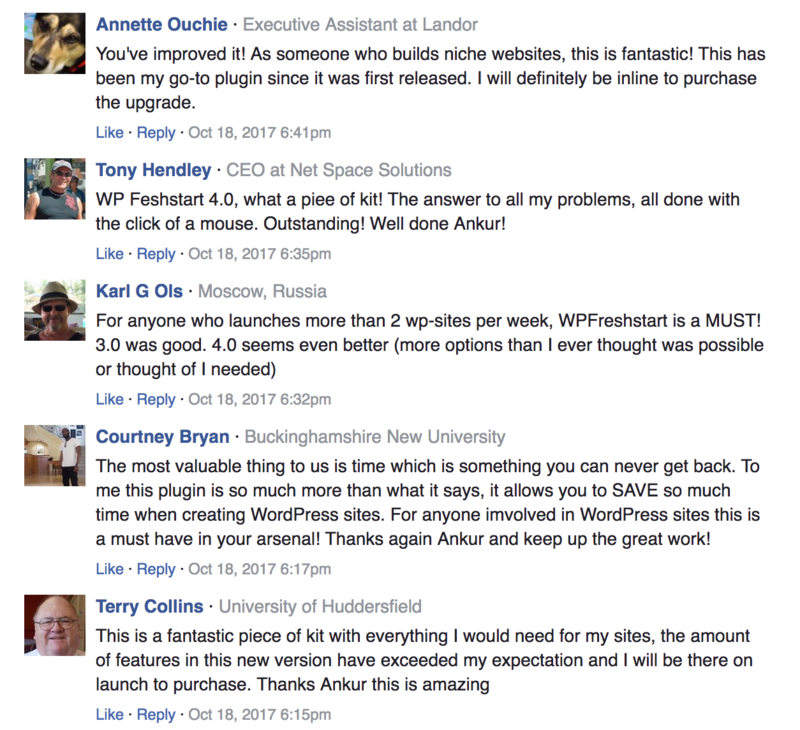 One-Click to clean/optimize WP database for better security & speed. Step 1 : PUT IN YOUR SITE URL or domain name. Step 2 : Press ONE button. 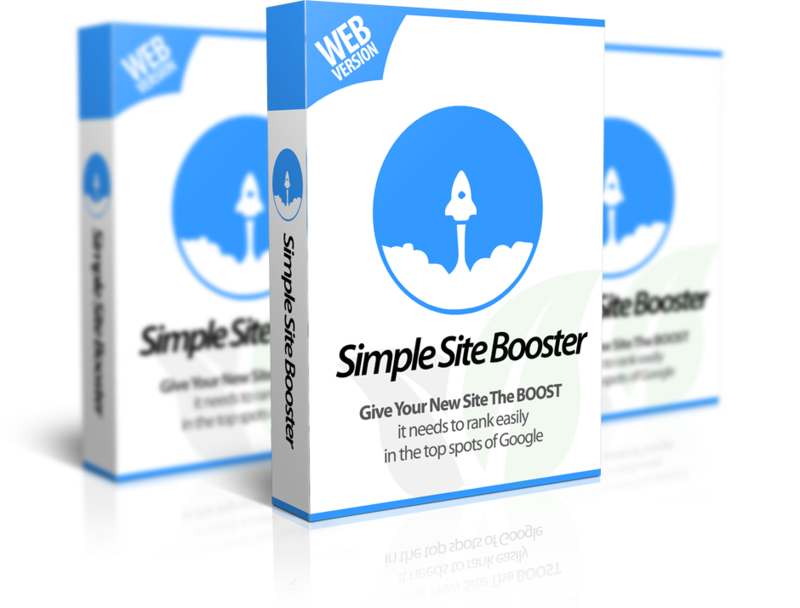 Step 3 : Sit back and Watch Simple Site Booster give a boost to your brand new site. 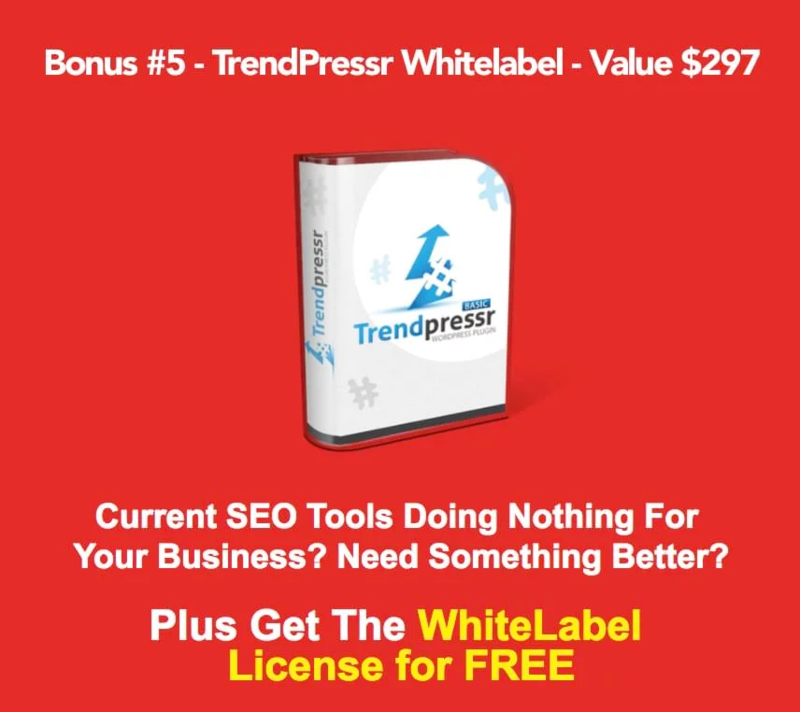 It will go on and alert over 1000 top ranking sites about your new site getting you noticed by them and Google, Yahoo, Bing – all the top search engines. This takes less than 2 minutes and all you have to do is press one button and relax. 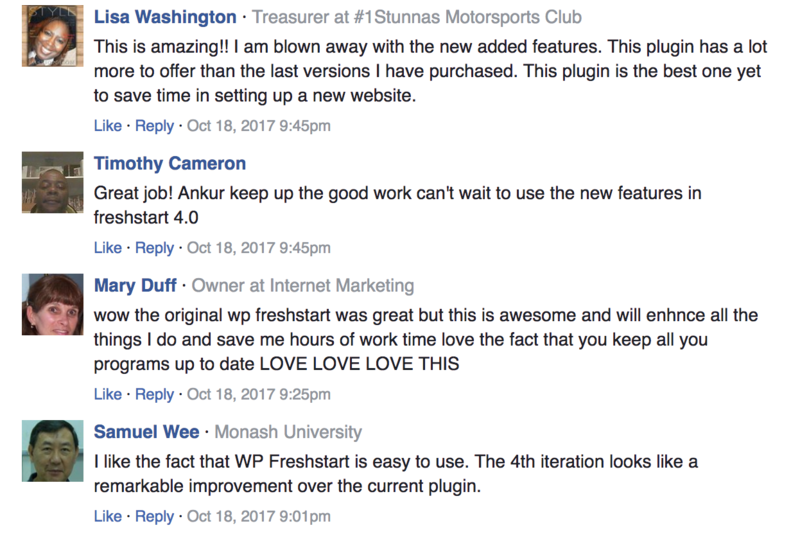 [+] Use this plugin on SITES you want to sell and then FLIP SITES with the plugin installed. Get paid more! 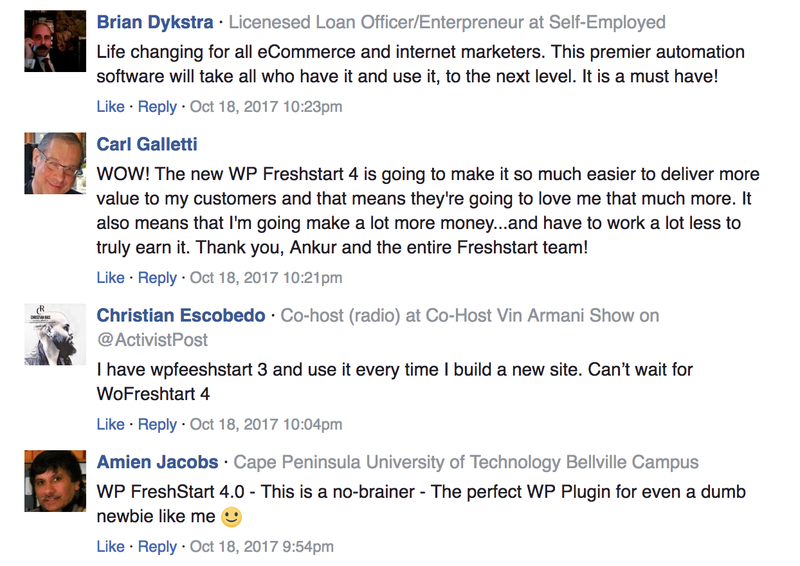 [+] DEVELOPERS LICENSE to Simple Site BOOSTER (if you already purchased the Booster, this will upgrade your license to Developer! 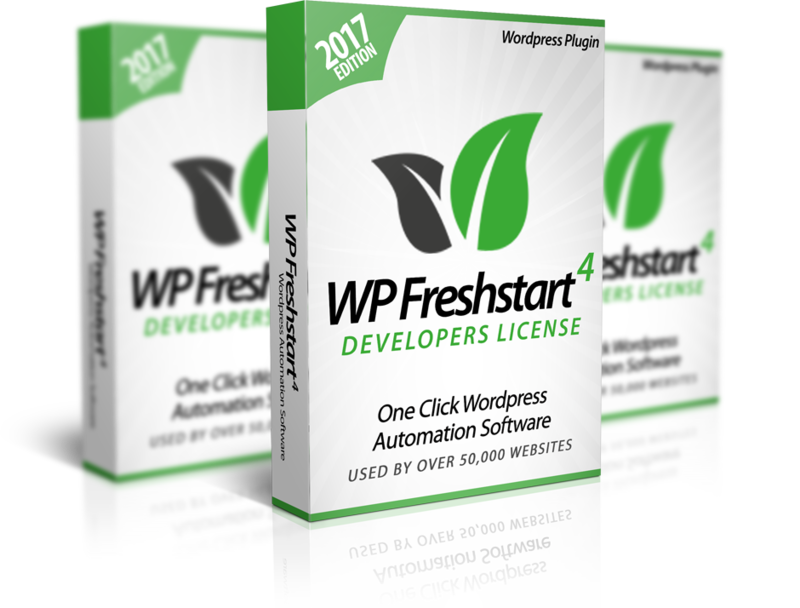 [+] DEVELOPERS LICENSE to Freshstart 4.0 PRO VERSION (if you already purchased the PRO Version Personal License, this will upgrade your license to Developer! 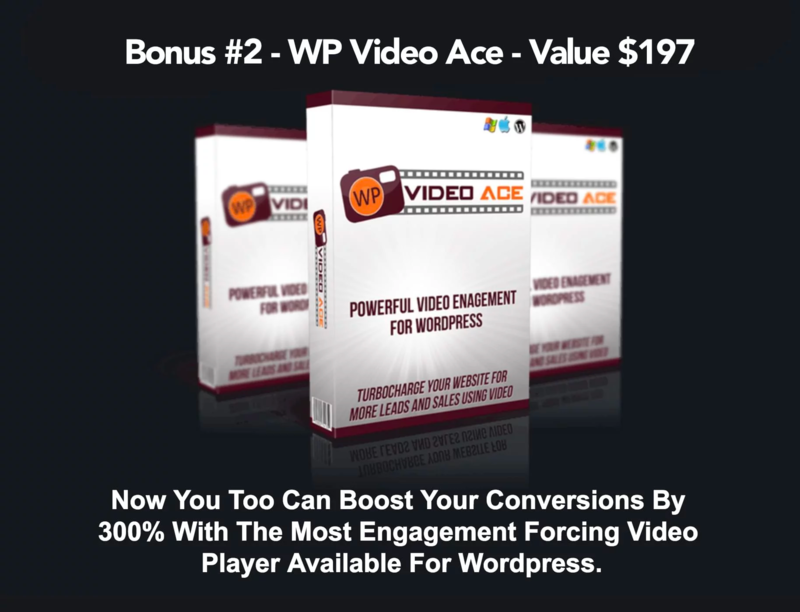 You will keep 100% of the price of this plugin when you refer them to our website. 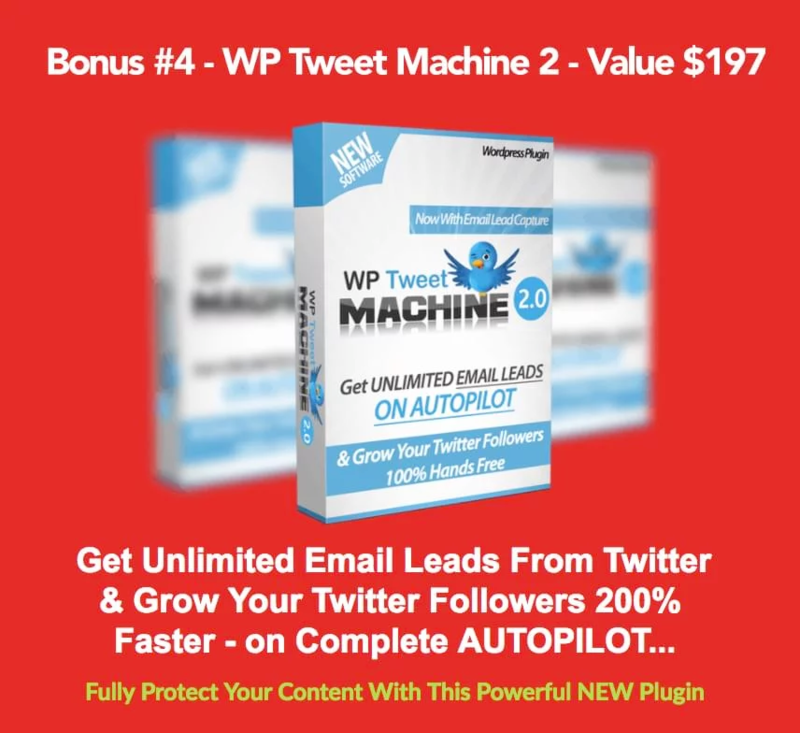 [+] Our super effective Sales Copy to make all your sales. [+] WE TAKE CARE OF ALL THE SUPPORT. [+] YES - You don't have to do anything, just collect your 100% profit and find a way to spend it. Send all your purchase receipts to bonusclaims.mbari@gmail.com and I will personally reply you with bonus access links within 72 hours. Sounds good? Go get them all now.